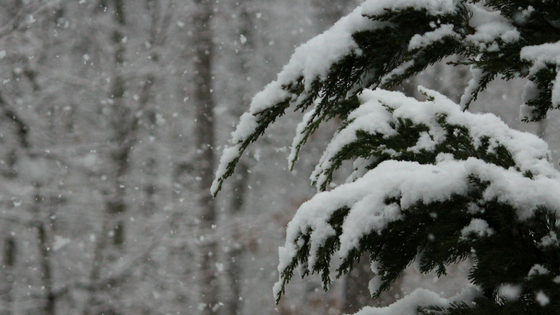 What is a Winter Nor’easter? If you live on the east coast of the United States, you’ve probably heard the term a lot. Especially during the winter months. But what makes different than any other storm? A nor’easter isn’t your typical meteorological disturbance. It’s actually a macro-scale cyclone. As the name suggests, these storms only happen over the northeast coast of the U.S. and Canada. It is also named such because of the direction of the winds. The strongest winds in a nor’easter tend to blow northeast-to-southwest as the offshore air mass rotates counter-clockwise. Our meteorologists compare nor’easters to hurricanes due to the exceptionally strong wind and heavy precipitation. However, unlike hurricanes, they don’t form over water. Instead, nor’easters form over land. They typically originate during a cold outbreak in the Deep South, when a weak storm crossing the Appalachians meets Gulf Stream-fed warm, moist air just off the Southeast Coast. Then, the system goes through a rapid strengthening period. Our meteorologists refer to this as “bombing.” During this period, it draws more moisture into the storm. Generally, the inland areas remain below freezing, allowing all participation that falls to be snow. With ocean temperatures warmer than the land, enough warm air can move onto the immediate coast to change the snow to ice or rain. 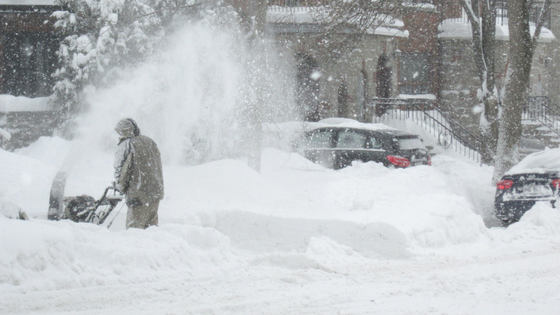 A nor’easter typically lasts 24-36 hours and can leave behind one-to-two feet of snow. Our Meteorological Services team advise clients along the east coast in many different industries on nor’easters from November to March. 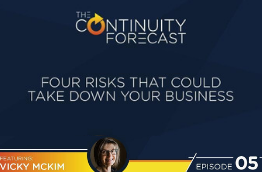 Now that you know what one of these storms are and how they differ from your average snowstorm, let’s get into how your can prepare your business. Nor’easter preparation is important for all different kinds of businesses. These storms effect everyone from mining operations in Pennsylvania to energy and utility companies in New York City. During these storms, it’s nearly impossible for aviation operations to continue, government offices to stay open, or transportation companies to safely continue operations. Nor’easters leave employees at companies both large and small shivering in nervous anticipation. From the business continuity manager at an international company on Wall Street to a pizza shop owner in the village, Nor’easters are a real threat. Like we said before, we can’t stop Mother Nature. Nobody can. It’s up to concerned business owners, employees, and homeowners to figure out when a winter storm is coming and what conditions to expect. The most prepared organizations rely on weather visualization software that incorporates severe weather alerts. These tools help decision-makers understand when nor’easters are forming, what conditions to expect, and how much time they have to prepare. The next thing business owners can do is assemble an emergency management kit. This is especially important for businesses that don’t rely on severe weather alerts or a weather visualization software because they are just relying on free weather information from the news. If you’re caught off guard by a nor’easter, you’ll need one. 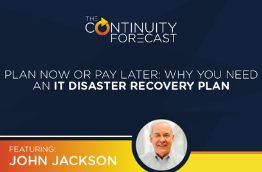 Whether you’re on the coast or inland, you need to make an effort to protect your organization’s infrastructure from high winds, heavy precipitation, and freezing temperatures. To prepare buildings on the coast, be ready for power outages and flooding. Everyone should have salt and shovels ready to go. While most organizations have to protect buildings, others have a lot more equipment to cover. For example, energy and utility companies should understand the conditions throughout their operational area and especially where important transformers and other pieces of equipment are. It can be extremely dangerous to travel during nor’easters. That’s why it’s so important to remain in constant contact with employees. Pay attention to states of emergency and understand if you have any essential employees. If you know a storm is coming ahead of time, it could be a good idea to have employees plan to work from home on the days of a storm. For essential employees, like power line workers who need to get out and restore power after ice or high winds damage equipment, communication is even more important. 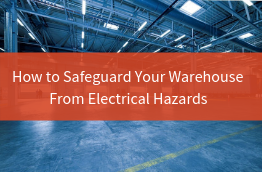 You need to make sure you’re not sending your employees out to an area that is still dangerous. Knowing the weather conditions is critical in these situations. A few feet of snow is a beautiful disaster. Sure, we love a good winter wonderland as much as the next person, but not the craziness than ensues afterwards. We’re talking about un-travel-able streets, downed power lines, and slippery sidewalks. Every company needs to clear their areas properly to reduce the risk of injury to employees, the public, or visitors. This is even more important for organizations that are in charge or snow clearing operations for an area. For example, town, county, and state-wide transportation departments. Some counties, like Montgomery County in Maryland, only have so many pieces of snow plowing and hauling equipment. Understanding the extent of a nor’easter’s conditions help the Montgomery County Department of Transportation plan to gather more equipment before the storm hits. That way, they can effectively clear their over 5,000 miles of roads in their county.